A series of documents to provide clarity around BIM and give guidance on the do's and do not's. The BIM survey reports provide baseline information on the use of BIM across the New Zealand construction industry. Produced in partnership with EBOSS, these surveys are in a five year series that will chart the progress of accelerating the introduction of BIM in New Zealand. The 2018 edition is the 5th in the series. This report presents the keys findings of qualitative research undertaken with specialist trade and product audiences into the barriers to BIM use in NZ. This provides some detailed guidance on modelling and documentation best practice. With key considerations to Planning the modelling process, Model location and orientation, Naming conventions and structures, Level of Development (LOD), Model coordination, Model handovers and BIM deliverables. The following document sets out the core BIM activities aligned to the New Zealand Construction industry Council (NZCIC) Design and Documentation Guidelines. Appendix C outlines the Definitions of Level of Development (LOD), its notations and the aspects of LOD. This appendix defines the unique task or procedure on a project which can benefit from the application and integration of BIM into that process. To create a common language, the New Zealand BIM Handbook lists these as “BIM Uses”. There are 21 separate Uses that have been identified, here their definitions are outlined. The Project BIM Brief (PBB) is a document that defines the client’s requirements and expectations for a project with regard to BIM. The document identifies goals, objectives and people’s responsibilities. This document is a working example. 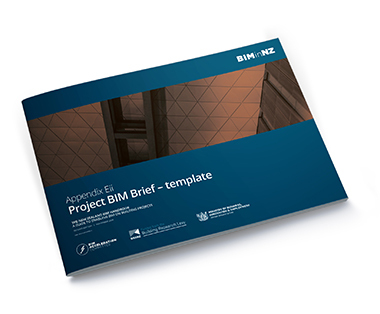 The Project BIM Brief (PBB) is a document that defines the client’s requirements and expectations for a project with regard to BIM. The document identifies goals, objectives and people’s responsibilities. This document is a template for industry use. To download a copy of the Word document template please right click on the download button and select “Save link/target as”. This schedule assigns responsibilities to Model Elements via an Author (MEA) and defines Level of Development (LOD) for those model elements across project stages. A supplementary document to the Project BIM Brief in the RFP or contractor procurement stage that aims to provide a consistent framework for the BIM component of an RFP. The Project BIM Execution Plan (BEP) is a detailed plan that defines how the project will be executed, monitored and organised with regard to BIM. This document is a working example. The Project BIM Execution Plan (BEP) is a detailed plan that defines how the project will be executed, monitored and organised with regard to BIM. This document is a template for industry use. The appendix provides an overview of the key to successful coordination. Identifying issues, prioritising them, and assigning relevant project stakeholders to address the issues and tracking the issues until they are resolved. A Model Description Document is issued with a model to describe what it contains and identify any limitations of use. The BIM101 – An Insight seminar booklet is now available for download. Written by the BIM Industry Training Group the booklet contains information from the recent BIM101 - an insight seminars. It aims to disseminate our joint learnings on BIM use in New Zealand, to highlight the need to change, explain how BIM and collaboration can help effect that change and start removing perceived barriers to BIM adoption. This brochure presents a compelling case for using BIM and gives real examples of the economic benefits it can deliver. The 2017 edition is the fourth in the series. Produced in partnership with EBOSS, these surveys are in a five year series that will chart the progress of accelerating the introduction of BIM in New Zealand. The BIM survey reports provide baseline information on the use of BIM across the New Zealand construction industry. Produced in partnership with EBOSS, these surveys are in a five year series that will chart the progress of accelerating the introduction of BIM in New Zealand. The 2016 edition is the 3rd in the series. The BIM survey reports provide baseline information on the use of BIM across the New Zealand construction industry. Produced in partnership with EBOSS, these surveys are in a five year series that will chart the progress of accelerating the introduction of BIM in New Zealand. The 2015 edition is the 2nd in the series. These BIM survey reports provide baseline information on the use of BIM across the New Zealand construction industry. Produced in partnership with EBOSS, these surveys are in a five year series that will chart the progress of accelerating the introduction of BIM in New Zealand. The 2014 edition is the first in the series.